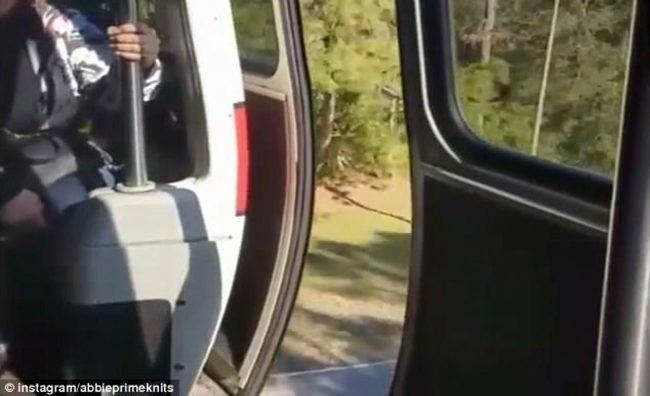 A video recently posted to YouTube appears to show a dangerous situation aboard Monorail Red. 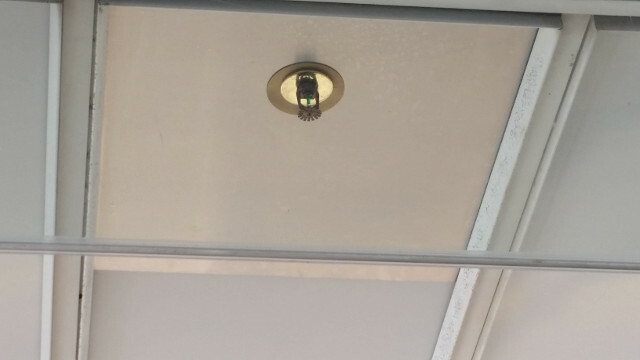 Taken from the inside of a passenger car as the monorail train travels to Epcot, the video shows one of the doors to be open. Was this a malfunction, or has Disney implemented an open door policy? Uncle Walt’s Insider sent a crack team of investigators to dig further into this situation, and our findings will shock you. 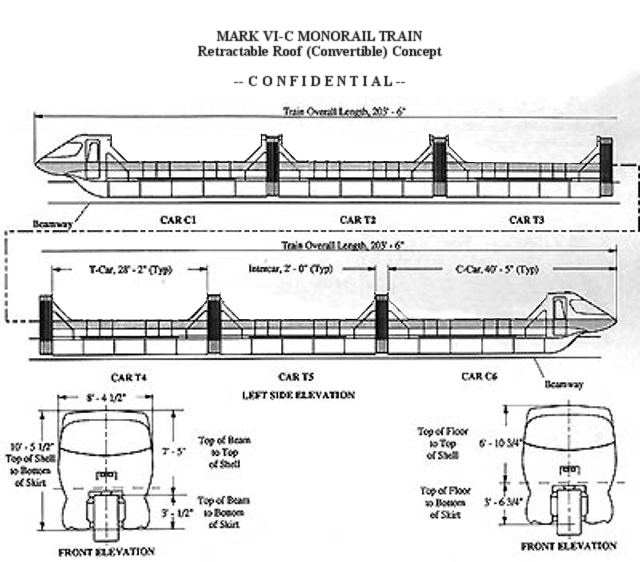 The current Mark VI monorail has been in service since 1989. While some minor changes have been made, such as moving to automated operation, there have been no significant design changes. Disney works hard to maintain the fleet, but these hardworking trains are starting to show their age. There have been numerous breakdowns over the years, some of which required guests to be evacuated and the trains towed to the shop. Design flaw — or feature? In the course of our investigation, Uncle Walt’s discovered that Disney has been considering some major changes to the monorail fleet. On a recent trip to Orlando, Uncle Walt himself came across a set of drawings marked “confidential” in the American Airlines Admirals Club at Orlando International Airport. Apparently left by a forgetful Imagineer, the drawings show a new Walt Disney World “Mark VI-C” convertible monorail concept. The drawing shows a drop top monorail, a design that will have guests reaching for their sunglasses and riding like celebrities. With the new design, a Monorail Pilot can with the flip of a switch let guests enjoy the fresh, clean air of central Florida. Notes on the drawing suggest that this new design will allow further ventilation, as well as connecting guests with nature. However, there was no mention of open or missing doors on the new monorail design. This new monorail concept does bring other requirements into play. For example, all guests must be seated and wearing seat belts while the train is in motion. Children will need to be removed from strollers, hats and glasses secured in the seat pocket in front of you; no eating, drinking, or smoking, and no flash pictures, please. Love is an open door? We pressed Mr. Yeager about this recent door incident on Monorail Red. Was it indeed intentional because of the new convertible design? Or perhaps part of the recently announced drone delivery? Or a coming wild west style train robbery? Maybe allowing sky-diving or bungee jumping from a monorail? Would you ride a convertible monorail? Let us know in the comments below! Cover photo by abbieprimeknits via Instagram. Inset original drawing by Greg Vassilakos, http://www.geocities.ws/greg_vassilakos/traindwg/traindwg.htm; modified.